A new study suggests that children who were diagnosed with depression between the ages of 3-6 have a smaller brain region involved in emotion than those who were not depressed. 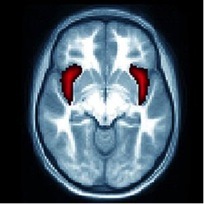 In the latest study, the anterior insula (red) on each side of the brain was smaller in preschool kids diagnosed with depression and those who experienced excessive guilt at early ages. The researchers – led by Andrew Belden, assistant professor of child psychiatry at Washington University School of Medicine in St. Louis, MO – say their findings could help predict the risk of future depression, giving them an “anatomical marker” to use for those at high risk. The area of the brain they focused on is the right anterior insula; each side of the brain has an insula, a key brain area involved in emotion, perception, self-awareness and cognitive function. To conduct their study, the team followed 306 children for 3 years as they aged from 3-6, as part of the Preschool Depression Study. They assessed the children for depression and guilt each year. In addition, all children had MRI brain scans every 18 months from the ages of 7-13. The researchers explain that pathological guilt can be a symptom of clinical depression and other psychiatric disorders, such as anxiety, obsessive-compulsive disorder and bipolar disorder. But he adds that the important question is whether depressed children are more prone to guilt or whether children prone to guilt are more likely to be depressed. Results of the long-term study revealed that children with a smaller right insula were more likely to experience repeated bouts of clinical depression as they got older. The team also found that this same brain structure is smaller in children diagnosed with pathological guilt during the ages of 3-6, which provides evidence that too much guilt is a symptom of depression – related to the size of the insula. So what does this mean for preschoolers with depression? 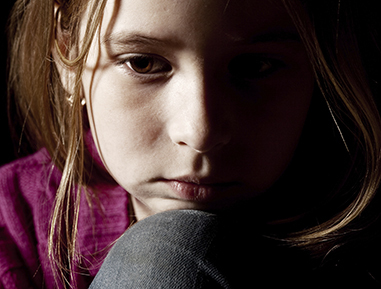 The researchers note that though some children experience depression and recover, never experiencing another episode, other children experience chronic depression. As such, Belden says it is important to identify those at risk for the latter trajectory of depression. Other studies have shown that the insula is also smaller in depressed adults, compared with their non-depressed peers. And a previous study from the Washington University School of Medicine team showed that preschool children with depression were 2.5 times more likely to be clinically depressed in elementary and middle school, compared with their non-depressed peers in preschool. In order to assess longer-term results, the researchers plan to continue their study for 5 more years, when the study subjects will travel through adolescence – a high-risk period in terms of depression. Belden also has hopes to follow them into adulthood. “On the immediate horizon is a look at the effects of some things that become more common during adolescent years as kids hit a high-risk time for substance and alcohol abuse and other problems that co-exist with clinical depression,” he says. For now, however, their latest study is the first to examine changes in the anterior insula as a potential biomarker for the trajectory of childhood major depressive disorder, results of which could help psychiatrists better understand the course of depression throughout an individual’s life. Medical News Today recently reported on a study that suggested stressed girls with a family history of depression may age faster than those without a family history of the illness.